Former Rovio SVP of games development Sami Lahtinenhas joined Helsinki-based studio Dodreams as its new head of studio. 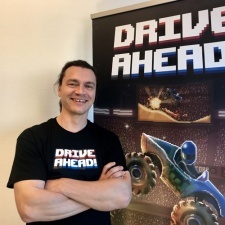 He will be primarily tasked with leading the company’s teams in further developing the free-to-play design of the Drive Ahead! games. Lahtinen will also be responsible for community engagement, including live ops events and experimentation with gaming platforms such as augmented reality. On top of this he’s been tasked with growing the Dodreams team with key hires for several senior positions. The Drive Ahead! series of games are free-to-play gladiatorial racing hybrids that currently have more than 10 million monthly active users. Prior to joining Dodreams Lahtinen had stints at Angry Birds developer Rovio as SVP of games development and Mr.Goodliving as the senior director of games development. “I have always had a soft spot for games with crazy and fun physics,” said Lahtinen.